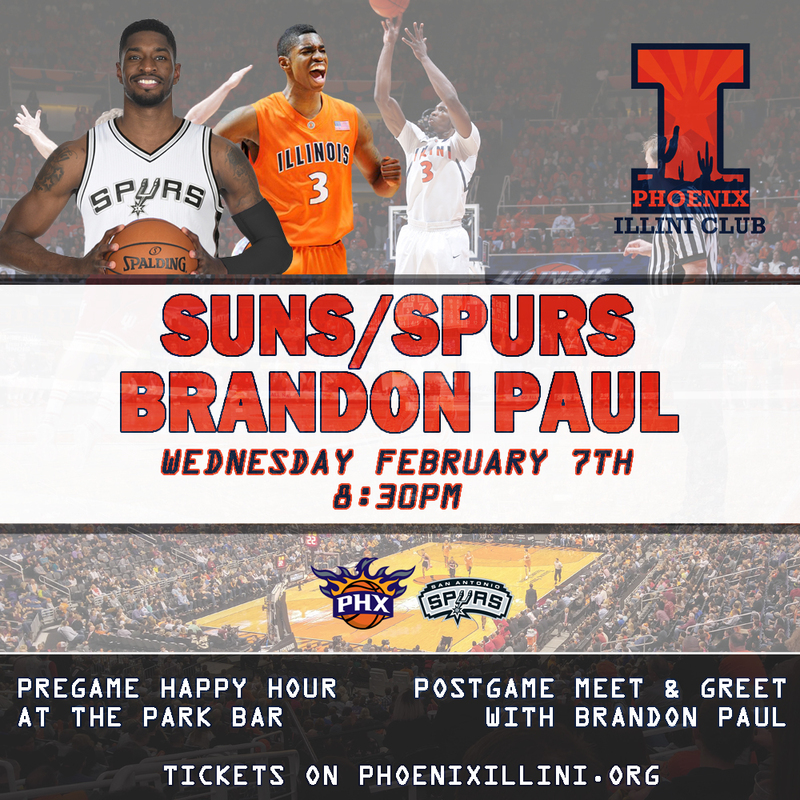 Come support Brandon Paul as the Spurs come to town against the Suns! For the first time, we have planned a special event for the Suns vs. Spurs game. We will be supporting Illini basketball legend, Brandon Paul. We will be having a post-game meet & greet with Brandon immediately following the game. Ticket price is $25 per person, located in Section 208 - Row 1, and will include postgame access with Brandon. The Club store will immediately email a receipt after your order. The Suns will email the tickets to the same email address, at least 1 week before the game. You are responsible for distributing the tickets to your guests.